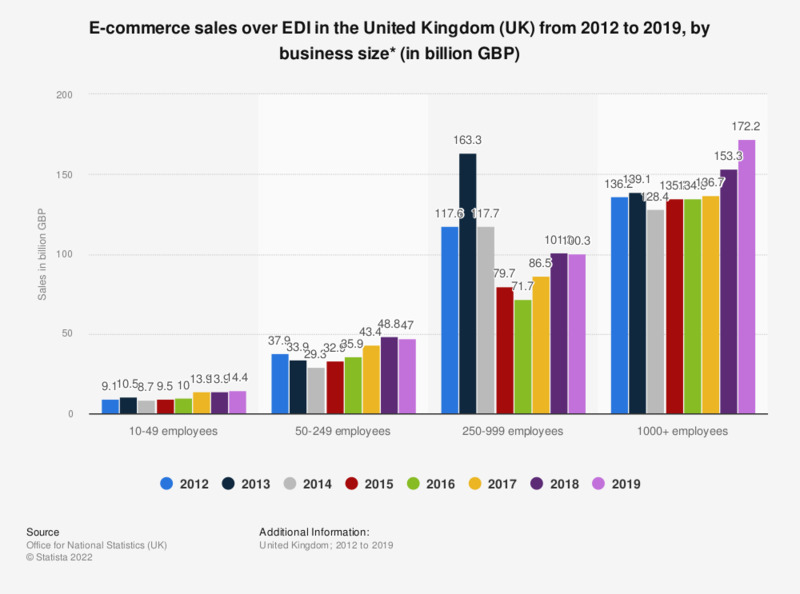 This statistic illustrates e-commerce sales over EDI in the United Kingdom from 2012 to 2017, distributed by business size. In 2017, businesses with more than 1000 employees generated 136.7 billion British pounds in e-commerce sales. * Electronic Data Interchange (EDI) is the computer-to-computer exchange of documents in a standard electronic format.